Fieldays is an annual farming and agricultural trade show, the largest in New Zealand and the Southern Hemisphere. Often incorrectly referred to as "Field Days", the official name of the event is Fieldays. 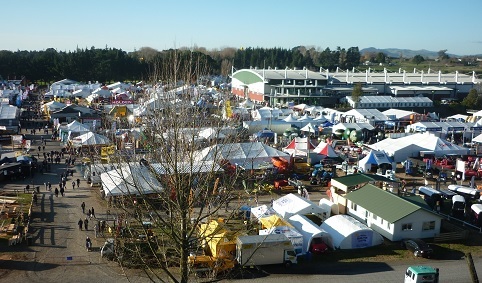 Based at Mystery Creek in Hamilton, Waikato, the Fieldays agribusiness event attracts over 120,000 visitors each year. Dates: The dates for the upcoming event are 13th - 16th June 2018. The event runs Wednesday to Saturday. Sunday is the pack up day and the grounds are closed to the public. Gates are open Wednesday - Saturday from 8am - 5pm. Tickets: Adults $30 (1 day). Child tickets (1 day) $15. (Child is aged 4 - 14). Tickets can be purchased at the gate, or you can purchase Fieldays tickets online. When buying tickets online you can print them out, which is really convenient and will save you time in the queue. You can purchase Fieldays Tickets from 1st April at this link. Fieldays Map: Here is a link to the official Fieldays 2017 map. 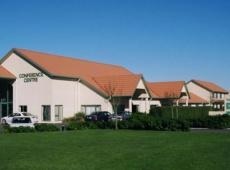 Getting to the Event: The Mystery Creek Events Centre is at 125 Mystery Creek Road, Hamilton NZ. Free Buses for Ticket Holders: Free bus transport to the event is available by shpwing your Fieldays ticket. Free buses will be operating from the City Centre, The Base Mall, Hamilton Transport Centre, Anglesea Street and some other locations. See more information here. Accommodation: Please scroll down to our Accommodation section below. The National Fieldays is both a business and trade event, and a fun family day out. There are over 1,000 exhibitors showcasing all manner of interesting and useful products and services. Its great fun to walk the exhibits and see the cutting edge new gadgets, equipment and toys available. There are both outdoor and indoor events. Each year there are many exciting new exhibitors and many public shows that in the past have featured dancing tractors! You'll also find many more fun events to delight the whole family. HamiltonInfo has partnered with top online accommodation booking engine TravelBug. You can now book accommodation for the Field Days event whether you are an exhibitor, or a spectator. There is limited accommodation near the Mystery Creek Events Centre, which is near the Hamilton Airport. The few properties close by are great for their proximity but they are usually sold out well in advance. The properties below are the closest accommodation options. Note these may sell out at anytime, so be quick! This venue is located right on the airport grounds. Modern, clean facility. The closest Accommodation to the Mystery Creek. Walking Distance. If the above accommodation options are booked out, or you'd prefer to stay in Hamilton City, then you are only a 10 - 15 minute journey from Mystery Creek. 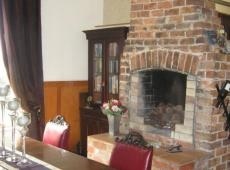 Hamilton City has options aplenty for every budget, from motels to hotels and everything in between. You will be taken to TravelBug where you can view lots of accommodation choices. Fielddays has been held at Mystery Creek Events Centre in the Waikato region for over 40 years. The space is perfect for the large horticulture and farming event with the property spreading over 113 hectares encompassing fields and an exhibition hall. Hamilton New Zealand is a great location for the event as the region has both a strong farming and agricultural tradition, and an economy largely based on farming. 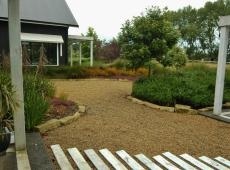 You can find more information on the Field Days event by visiting: www.fieldays.co.nz. These are the Fieldays Dates for upcoming years. Plan ahead!